Like most RV builders, I find the prospect of fiberglass work to be less than thrilling, and when you add the typical mediocre quality of the fairings supplied by Van’s to the equation, well, I just look for any alternative. Fortunately, for me, I found one at Fairings-Etc. 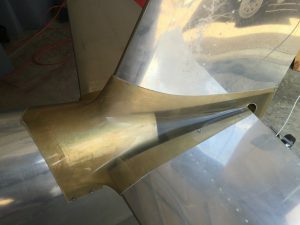 I bought the RV-8 empennage fairing from them and it fit like a glove straight out of the box. Basically, I trimmed and sanded the edges, installed the necessary plate nuts and I was done. Is it a perfect fit? No, but it’s very close and close enough for me. 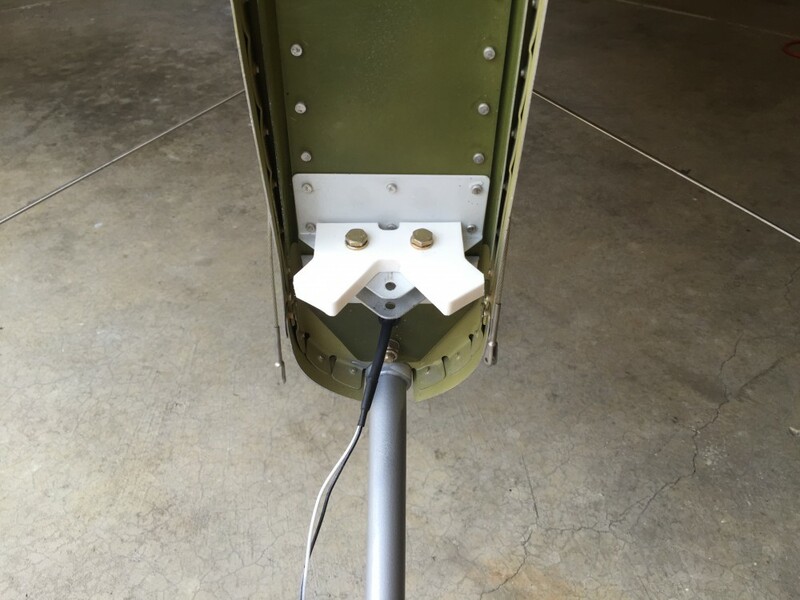 The fairing comes with bottom fairings which are very flexible and easy to fit. 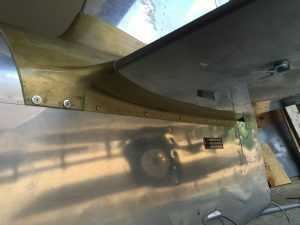 This entry was posted in Empennage, Fuselage on July 7, 2016 by Mark Dickens. I had installed the rudder control stop as called for by Van’s instructions, but I hated the way it looked so off it came, and I installed this control stop that I bought from Flyboy Accessories.